The Congestion Charge has cut traffic 30% since it came into force. If the proposals come into force, the current Ultra-Low Emission discount, which allows vehicles emitting 75g/km CO2 or less to enter the zone for free, provided they meet Euro 6 emissions limits, will be replaced with a new Cleaner Vehicle Discount. This will retain the 75g/km cap, but with a requirement that vehicles should offer a 20-mile electric range, and meet Euro 6 emissions limits. In turn, this means conventional hybrids such as the Prius would no longer qualify, though newly-registered examples are no longer sub-75g/km due to NEDC Correlated CO2 figures. TfL estimates 90% of currently-eligible cars will still be next April. From October 2021, the proposals suggest only pure electric vehicles will qualify, as part of steps towards a Zero Emission Zone in central London. Discounts will be abolished from 2026. Private hire vehicles (PHVs) are also on TfL’s radar. 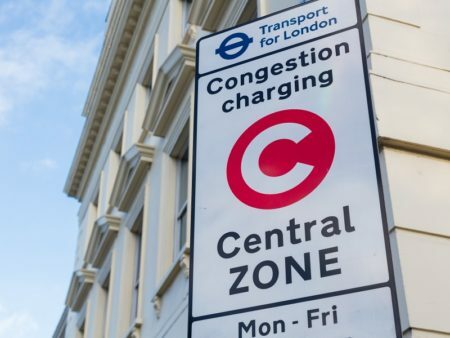 The Congestion Charge is claimed to have cut traffic by 30% since it launched 15 years ago, but PHV volumes have more than quadrupled from 4,000 to 18,000 per day. TfL said removing this exemption will cut PHV traffic by 45%, cutting congestion, reducing emissions and improving access for buses. PHVs which are wheelchair-accessible, or which meet the Cleaner Vehicle Discount criteria will continue to be exempt. TfL will also retain an exemption for black cabs, which are wheelchair accessible and must accept fares under 12 miles by law, which means they have no choice but to enter the zone. However, Gareth Bacon AM is critical of proposals on PHVs, adding that the consultation means there is still time to have them reversed: “This latest move comes hot off the heels of massive increases in operator licence fees. When the industry suffers so do customers – increased costs will inevitably be passed on to Londoners to pay in higher fares.